Expert guitar tuition | Croydon Guitar Tuition | Are you looking for guitar tuition? Get in touch with Croydon Guitar Tuition today for more information now. We will happy to help. MUCH MORE THAN JUST GUITAR LESSONS: BECOME A PART OF OUR COMMUNITY OF DEDICATED GUITAR STUDENTS IN CROYDON! Would you like to learn to play your favourite songs on guitar? Are your guitar-playing skills a little rusty and you would like to get them back up to speed? Have you always wanted to perform or play with others, but just don’t have the opportunity or the confidence? 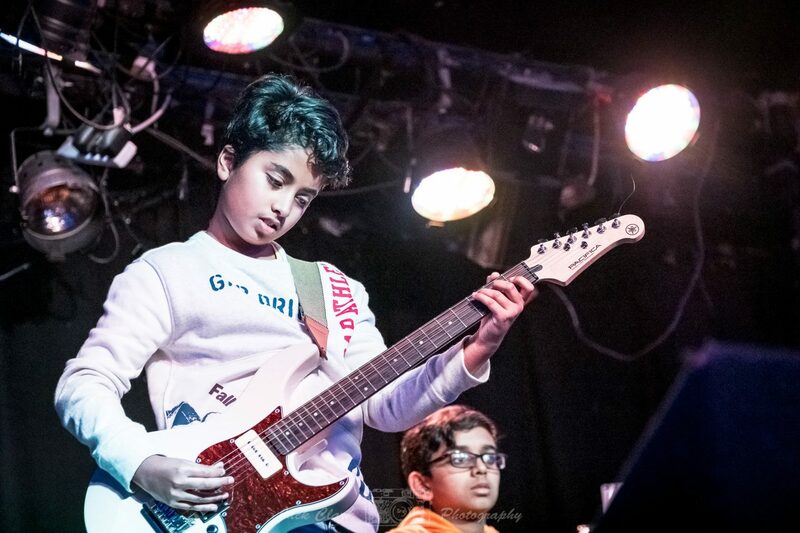 Would you like your child to take graded guitar exams, while having fun learning and jamming with others? If the answer to any of these questions is “yes” and you live in Croydon or any of its surrounding areas – Waddon, Purley, Coulsdon, Thornton Heath, Sutton, West Wickham or Mitcham – then you have come to the right place! My name is Vicki Workman and, here at Croydon Guitar Tuition, my teachers and I have helped many students accomplish their dreams of learning to play the songs they love on guitar. We believe guitar is a sociable instrument and this can best be achieved by learning and playing with others. In fact, many of our students have become friends and gone on to form bands and jam together socially, outside of our classes! We encourage collaboration, not just with other guitar players but also with other musicians. 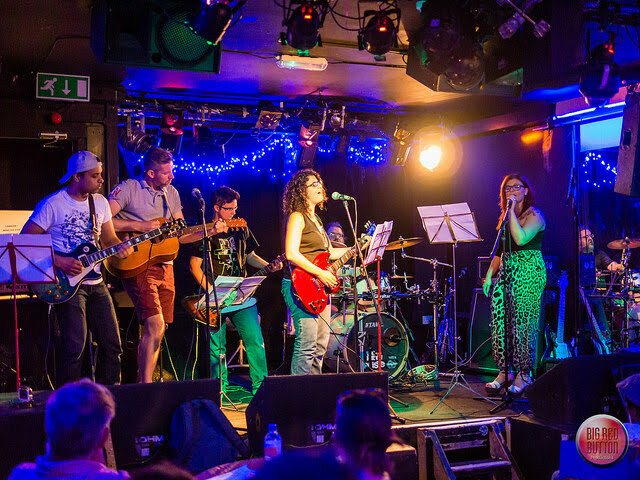 Our students get regular opportunities to perform solo, as part of an ensemble or even as part of a full band at special events run by us and in the wider Croydon music community. After all, this is what playing guitar should be all about! The excitement many people initially feel when they pick up their brand new guitar and imagine themselves effortlessly playing their favourite songs can be short-lived once the reality of learning how to play it kicks in! Like any new skill, learning guitar takes time, persistence and dedication. No wonder 90% of new guitarists quit within the first year. Those who do stick at it can often spend years “learning” guitar but rarely, if ever, get to actually “play” it. This could be through choice (e.g lack of confidence in their playing abilities) or opportunity (they may not have a ‘jam buddy’ or someone to play with outside of their lessons). Our mission at Croydon Guitar Tuition is to re-dress this balance. We understand the importance of being around other musicians with similar interests to you and that, often more than the lessons themselves, these connections will help you to stay motivated, keep learning and maybe even get out of your comfort zone and end up onstage at one of our performance events! We don’t want you to stop learning guitar but we DO want you to start playing! And that’s how we structure our guitar lessons, classes and events – with the aim of helping you apply and adapt the skills you know into the music you want to play. Sure, there are many ways to learn guitar. There are even many ways to learn guitar which will work eventually. But why not choose the method specifically designed to give you the fastest, most flexible results for maximum rewards and enjoyment? That’s exactly what my teachers and I at Croydon Guitar Tuition deliver. I’ve spent years devising the most flexible and effective method ever for fast and enjoyable progress. Our schedule is set up so that you can attend as many lessons as you like, at a time that suits you. That means no getting bored with repetitive or irrelevant lesson content, no gaps in tuition when your other commitments mean you can’t attend a regular slot, and the opportunity to progress up to 75% faster by attending multiple lessons each week! Need help outside of lesson time? No problem. Our amazing online student resources mean that you can get support with your playing at any time of the day or night, and even chat to your fellow students and our teachers about your progress in our forum community. ⦁	Improve motivation, relieve stress and enjoy the many benefits of sociable music-making! ⦁	Get opportunities to record yourself playing guitar, so that you can hear how far you’ve come! Improve motivation, relieve stress and enjoy the many benefits of sociable music-making! Get opportunities to record yourself playing guitar, so that you can hear how far you’ve come! Many of our students feel ready sooner than they’d ever have imagined to take part in one of our twice-yearly Showcase events! These are an amazing way to experience the unbeatable thrill of live performance with a full band, build your playing confidence and socialise with other like-minded musicians. Recently, we’ve also given our students the opportunity to perform at local festivals such as The Croydon Food & Music festival and Cro Cro Land, ensuring they can continue to grow as musicians outside of their lessons. Choosing the right guitar teacher for you is a big decision, so naturally you’ll have questions. Click on the link below for common questions and answers regarding our sessions.